The team at Fluent Design Group designs and constructs houses, additions and new spaces for households throughout the Bucks County PA area. One space that we have been getting really positive reviews about our sunrooms. A smaller type of project that can absolutely transform your home in so many ways. Here are some of the benefits you’ll see from such a project. 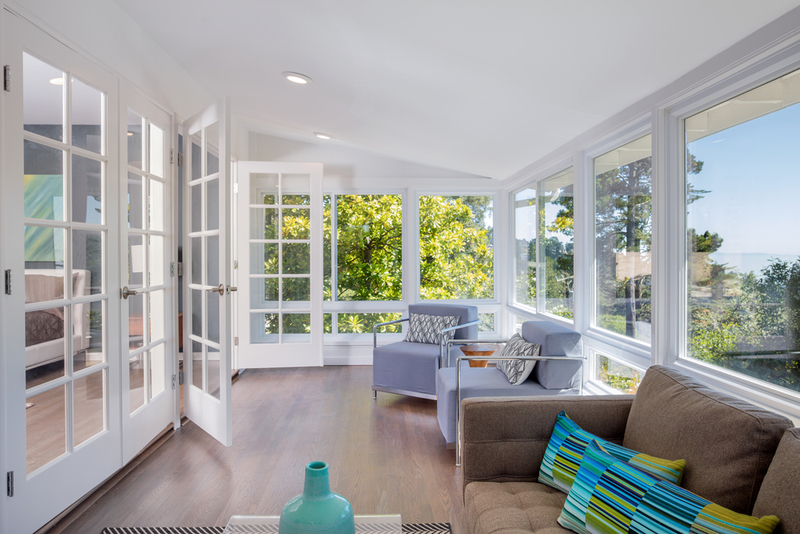 A sunroom, like any additional space on your house, adds value to your home. If you plan on selling your property at any point, you’ll be able to gain more interest from potential buyers, and you’ll be able to make more money at the time of the sale. Having a room that you can go into that doesn’t require turning the lights on will help reduce the amount of energy that you use. Artificial light is also much better than turning on the lights, isn’t it? Enjoying natural light will make you feel warmer and overall will make you feel better about yourself. Sit back and read a book or have a cup of coffee all while enjoying the amenities of being outside. Have you hosted a gathering and had wished there was a little more room? Sunroom would be a perfect addition to give you that extra room to spread out. Also, an additional room serves the purpose of making your house appear larger; a sunroom has a benefit of appearing as a separate getaway space. 5. Use extra space into your desired room. With so many design options to transition your sunroom into a useful space, you desire. Whether you want to make it a home office, family, entertainment, workout, or game/playroom, adding a sunroom can significantly boost curb appeal. A sunroom is an excellent opportunity to add luxury and style all year round. But whatever you choose to do with it, you will be introducing elegance and sophistication into your home with the open flow and floorplan of a sunroom. For more information, please feel free to reach out. We can be contacted over the phone at 215-372-0333 or through our online contact form.